Last week at the US Olympic Trials three runners from Oregon seemingly came out of nowhere to sweep the 800m finals. 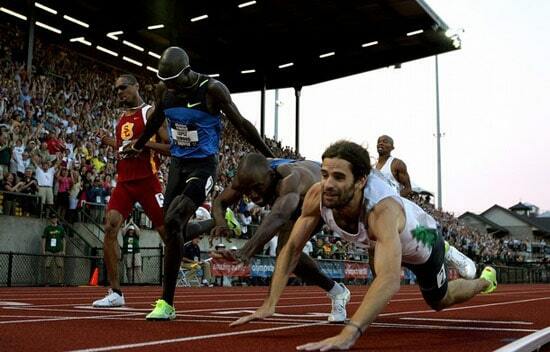 Nick Symmonds wove through an amazingly small gap and won the race with an impressive kick in the final 150 meters. He was followed by 6'5" Andrew Wheating and Christian Smith, who literally dove to the finish line to inch out Khadevis Robinson and Lopez Lomong. Video (race starts at 2:30) and results below.